At Shepco, some of our client partners get special treatment. It all has to do with the nature of the product for which we, and Borderline Systems Niagara Inc., are contracted to store, package and fill orders. Our Niagara winery partners fall in the “special” category. Think about it: We are handling fragile bottles and cases of the liquid bounty for which Niagara has become famous. Our services to wineries ensure safe handling, storage and shipments to various locations, including to the Liquor Control Board of Ontario, to Via Rail, and to the B.C. Liquor Distribution Branch. You could say we make Niagara wine go places! We are pretty sure our client partner wineries appreciate our special treatment of their product. One such partner – the Henry of Pelham Winery – recently inspired a few team members to take their tour. Located at 1469 Pelham Rd. in St. Catharines (close to the intersection of Pelham Road with Fifth Street Louth), the winery property is part of the Short Hills Bench sub-appellation of the Niagara Peninsula. In fact, it’s practically next door to the Short Hills Provincial Park. It’s a gorgeous property, with 300 acres of vineyards planted on the long, gentle slopes of an ancient, buried valley – a perfect spot for producing grapes with intense, complex flavours. Owned by the Speck brothers Paul, Matthew and Daniel, the winery has been in this family since 1982, when Paul Sr. and his wife Bobbi purchased several contiguous parcels of the original Smith family farm, keeping it in the family. Nicholas Smith, the original owner of the farm property since 1778, is the great-great-great-grandfather of the current owners. A tavern, inn and carriage house had been built on the farmlands in 1842 by Henry Smith, Nicholas’ son. The name “Henry of Pelham” is the signature Henry put on his tavern’s liquor licence, as a joking reference to a former British Prime Minister. The name stuck. Henry continued to farm at this location, even planting some of Canada’s first vineyards. Which makes Henry of Pelham one of Niagara’s oldest wineries. Grapes for wine are so much a part of the Speck family history, it has become their way of life. You get a sense of this when you visit the winery, which offers a cozy public tasting room (in the original carriage house), along with both public and private tours of the facilities and a delightful retail area. The Bobbi Speck Art Collection is something to see, also. The Speck family invites visitors to tour the art created by Canadian painters and sculptors, many of whom were personal friends to Bobbi from the time the family lived in Toronto. The collection is located within winery buildings and offices, with a gallery room located upstairs from the tasting room. When our Shepco team toured this winery, we were struck by the gorgeous setting and attention to outdoor details. Lush greenery, as far as the eye could see, surrounded the beautiful setting occupied by the winery buildings. With many places to sit and contemplate the scenery, we had some difficulty making ourselves move on … but then, we hadn’t quite finished our tour. Our last stop included a light meal at the winery’s Coach House Cafe, where chef Erik Peacock delighted us with the local-themed menu and wine pairings. The cafe is open Victoria Day long weekend through Labour Day; no reservations required. Given the unique setting – part of St. Catharines, but seemingly out in the middle of nowhere – the winery’s location evokes an appreciation for Niagara’s historical past, and the industry of agriculture that lured our ancestors, both indigenous and immigrant, to our region. It’s a history that is certainly worth the special treatment the Henry of Pelham products receive in the Shepco warehouse. 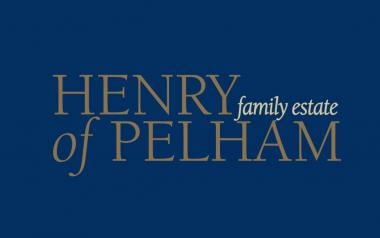 To learn more about Henry of Pelham, visit the winery’s website HERE. Browse the wine selections in the winery’s online shop HERE. Want to know more about Shepco’s warehousing, packaging and fulfillment systems? Reach us by phone at 905-687-4014, or send us a message HERE.